In January 2012, local avid and experienced hiker, Ron Kirk, went climbing in Calico Basin. No one heard from him for a week and his friends called 911 to report him missing. 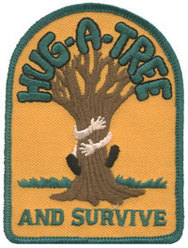 A search began, and his hiker friends gathered en masse to help find him. Metro Search and Rescue launched multiple operations into the canyon and searched for him day and night, but to no avail. Eventually they had to call off the search, but Ron’s friends and members of local hiking and running clubs kept the search going, gathering more than 200 volunteers to comb the area searching for Ron. Searches continued for weeks and finally, on March 10, 2012, Ron’s body was found in one of the most treacherous areas of Calico Basin. While the community mourned Ron’s loss, several experienced search and rescue people got together to discuss the idea of putting together a volunteer SAR team. 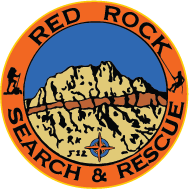 Supported by a generous donation from Ron Kirk’s family, Red Rock Search and Rescue was founded by David Cummings, Dana Richardson, and JD Laguana with the goal of building a team who could continue searching for lost and missing loved ones when Metro’s resources had run out. Additional founders Rachel Rice, Robin Kashar, Jennifer McCarthy, Brian Foster, and Larry Simon helped shape the team into a non-profit corporation. Shortly after Ron’s funeral, a call came in to the team from Jodi Goldberg, sister of a man reported missing and presumed murdered. Newly formed, Red Rock Search and Rescue personnel were immediately deployed to search for Keith Goldberg. When everyone else had given up on ever finding Keith, Red Rock SAR doggedly searched more than a hundred square miles of desert. On April 14, 2013, exactly one year to the day the search began, Red Rock SAR found Keith’s remains. Red Rock Search and Rescue was formally honored by the Mayor of Las Vegas on April 17, 2013 for their efforts, just after finding Keith in the Lake Mead Recreational Area a few days prior. Red Rock Search and Rescue has grown into a highly trained, skilled group of 200 volunteer Search and Rescue technicians who have gone on more than four hundred missions and put in roughly 200,000 hours for the Las Vegas and surrounding communities, all free of charge. Red Rock SAR graciously thanks the Las Vegas community and our corporate sponsors for all their support over the years through donations and in-kind offers.